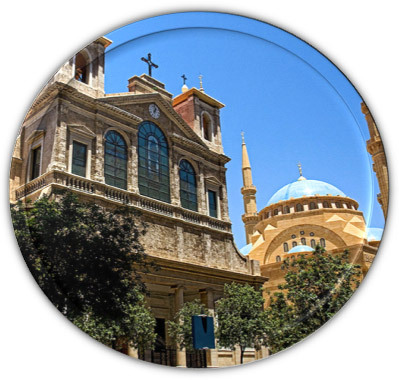 Lebanon has several different main religions. 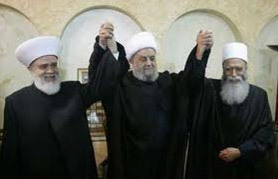 The country has the most religiously diverse society in the Middle East, comprising 17 recognized religious sects. 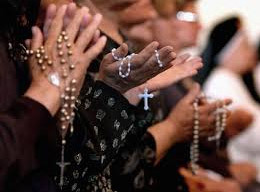 The most recent study conducted by Statistics Lebanon, a Beirut-based research firm, found that approximately Lebanon's population is estimated to be 54% Muslim (30% Shia; 24% Sunni), 5% Druze, 41% Christian (21% Maronite, 8% Greek Orthodox, 5% Melkite Catholic, 7% other Christian denominations like Armenian Orthodox, Syriac Catholic, Armenian Catholic, Syriac Orthodox, Roman Catholic, Chaldean, Assyrian, Copt, Protestant). 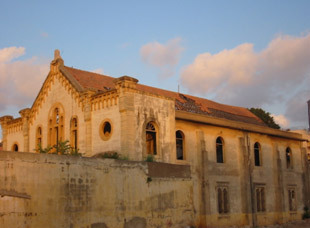 Christianity in Lebanon has a long and continuous history beginning with the visits of Jesus to the southern territories, where he is said to have performed many miraculous healings. Biblical Scriptures reveal that Peter and Paul evangelized the Phoenicians, whom they affiliated to the ancient patriarchate of Antioch. The spread of Christianity in Mount Lebanon was very slow where paganism persisted in mountaintop strongholds. Before the Christian faith reached the territory of Lebanon, Jesus had traveled to its southern parts near Tyre where the scripture tells us that he cured a possessed Canaanite child. Christianity in Lebanon is almost as old as gentile Christian faith itself, early reports relate the possibility that Saint Peter himself was the one who evangelized the Phoenicians whom he affiliated to the ancient patriarchate of Antioch. Paul also preached in Lebanon, he had lingered with the early Christians in Tyre and Sidon. National holidays include most of Christians holydays. Islam, the third Monotheistic religion, was started by the Prophet Muhammad, a descendant of a long line of prophets, including Jesus, Moses, Abraham, and David (Peace be upon them). Islam reveal in Lebanon with the Arabo-musulman conquest in the 7th century. There are only between 50-100 Jews now living in the country.